Another delightful tale of the unlikely best friends Muddle and Mo. Big raindrops are falling. 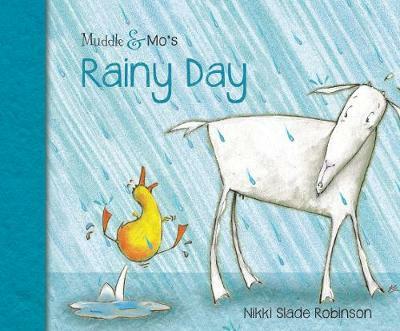 Muddle likes the rain but Mo is a goat and goats do NOT like the rainy days. Will a special Muddle-cuddle save the day and get Mo to try something different? 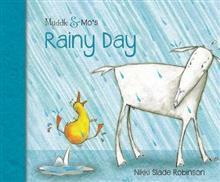 Nikki Slade Robinson has been an illustrator and author for many years in between doing things like finding worms for her duck, or the juiciest dandelions for her goat. Nikki and her family raised them both and as they grew, the black fluff turned into a very handsome duck, and the white fluff turned into a very handsome goat. Nikki has illustrated for a wide range of businesses but most of all she loves drawing for children and has illustrated over sixty children's books and readers.